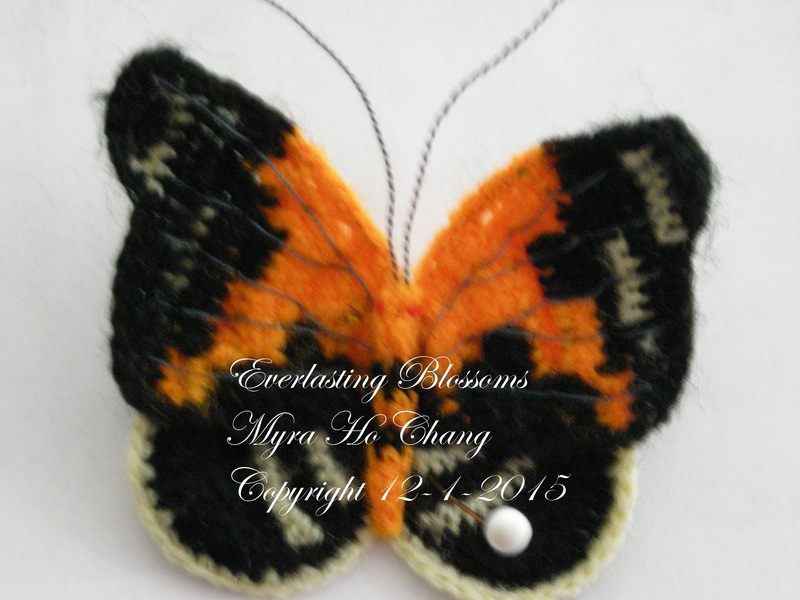 Everlasting Blossoms had posted its last chapter, the method of “How to crochet the rose”. I’m so anxious to see some Everlasting Blossoms post on your blogs, which will be worth of my mother’s goodwill and the expenditure of time and effort to compile the method of butterflies and direction of rose. was these bellflowers that brought her back to crochet again. 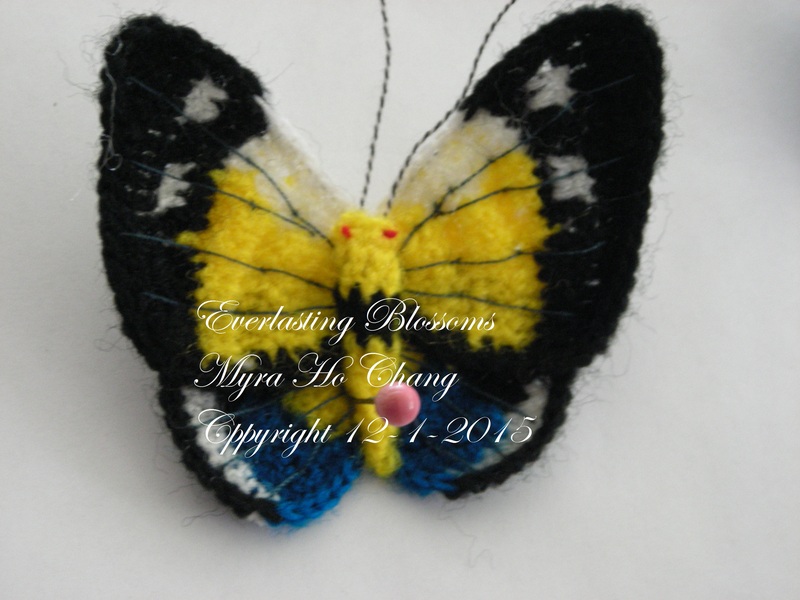 Thus, more new Everlasting blossoms and new butterflies were born. All the other picture, each had a story in the book. 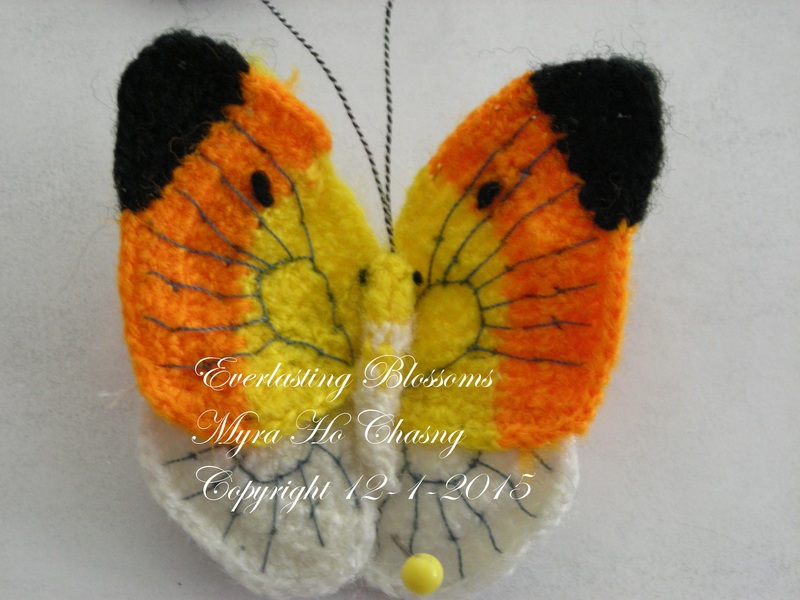 If you are interested, please read from my “Everlasting Blossoms”. Above all, my mother and I hope there will be more Everlasting Blossoms blooming to make this world more beautiful and more cheerful. Dz Yun’s family settled down at Wu-Tung-Chyau. It was a Xanadu! Jya-Ding and Wu-Tung-Chyau both were well salt product cities in Sz-Chwan. They moved into the Salt Bureau Guest House. The building was built on the mountain side. From the French Windows you could view the beautiful mountain slope all way down to the mountain foot. You can enjoy a variety kind of flowers all year long. There were leafless trees in winders, but many evergreens as well. Never snowed in winter, yet no breathless hot summer too. May be it was not as in spring all the time, But you certainly would deeply fell in love with her! On both sides of the mountain trails, there were big and tall Chinese Parasol trees. When the season the seeds falling down from the trees, Syau Wen would join the children’s treasure hunting group to look for parasol seeds. The seeds grew on both sides of a spoon shaped shell. They were delicious! At first, Syau Wen was dare not to eat it. But ends up she couldn’t resist the temptation looks on her companion’s face as they were eating those seeds. She joined them! They were not bad at all. The unique sweetness of taste and smell she can never forget her whole life. The days were easier after they settled down at Wu-Tung-Chyau. Dz Yun haired a lady, Peng Da Nyan to help Yu Wen to do the house works and cooking. Other than going to the market, Yu Wen stayed at home and take care of the two girls. How different the life was than the days they had before! It was in a paradise to Yu Wen. From Peng Da Nyan Yu Wen leard how to make fermented bean curd, dry pickled vegetables and Sz Chwan Kimchi. Sometimes she would share her product with her friends. One day Yu Wen and the two girl were playing on the mountain side. 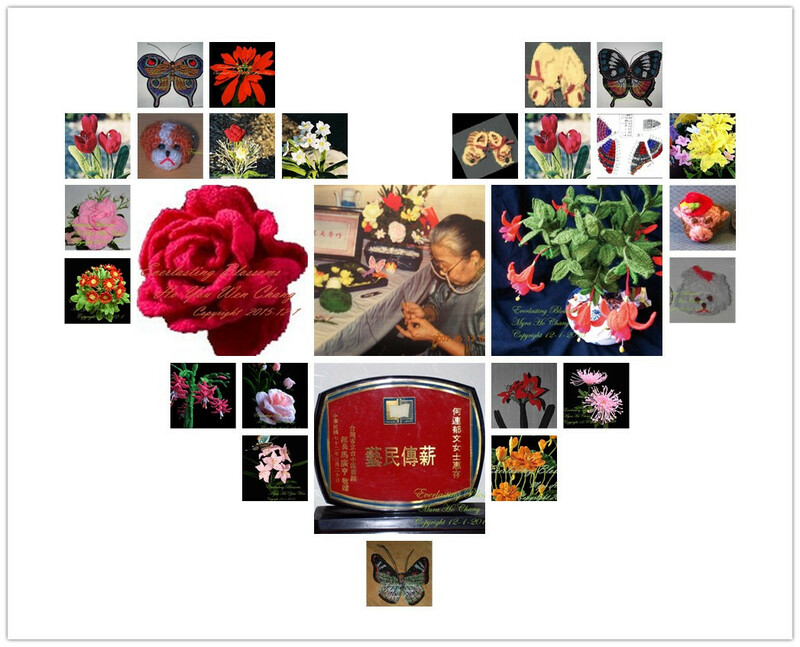 There were many different kinds of butterflies flying around the flowers. Some were big with shinning blue colors. 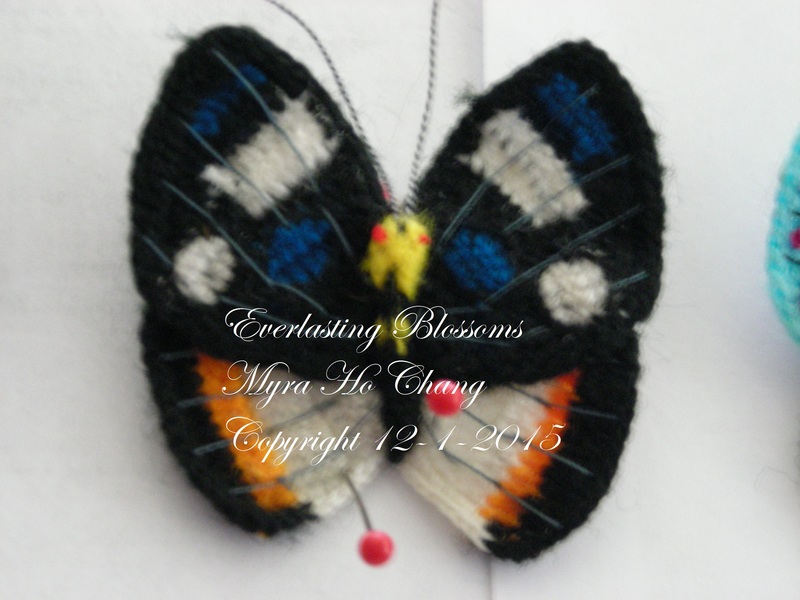 Their upper bigger wings were embellished with black spots trimmed with golden edges. When they fly those lower small wings flowing with the big wing. They were so impressive and attractive and Dazzling. They were just awesome! Syau Yun in her stroller watching those butterflies flying around with excitement. Clapping her little hands shouting with laughter. She was trying to say something but her baby language no one could understand. Syau Wen was chasing after the butterflies. Running after them everywhere. It seemed those butterflies were smarter than her. 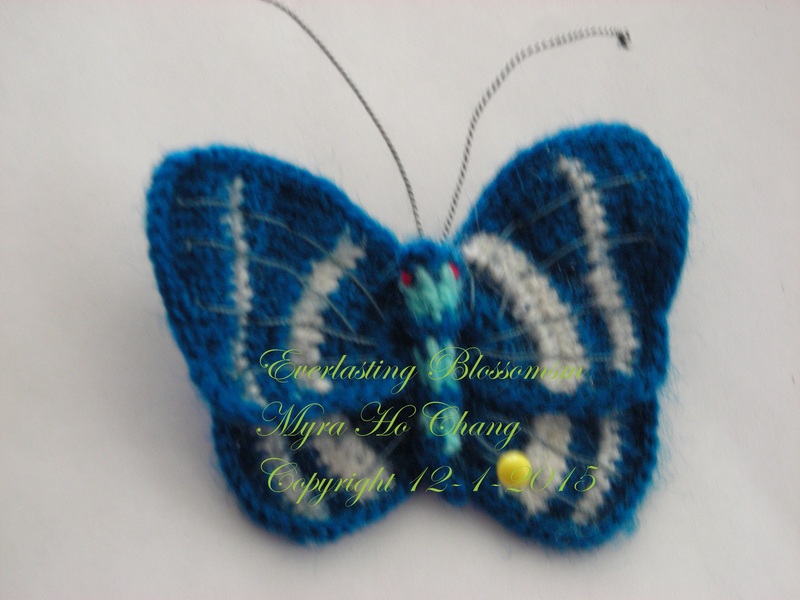 When she was almost catch one that was stopped on a flower, the butterfly flew away before she touch it. She tried to catch them over and over again, until she couldn’t catch up with her breath! Those running and screaming made the two kits tired and sleepy. As soon as they got home, they felt into deep sleep in bed. Yu Wen sat in front of the French Windows looking at the view outside . Her mind was completely occupied by the beautiful scenery she had just seen. Those butterflies are still flying in her mind. They were just awesome. She couldn’t sat still any longer and took out her embroidery kit. After Yu Wen stretch and tighten a piece of white silk on the embroidery hoop, she began to make out lines with the silk threads, Then began to embroider. There was an old gentleman, Mr. Liu who lived upstairs brought some candy for Syau Wen and Syau Yun. His family didn’t moved in yet. He came down to see Syau Wen and Syau Yun very often because he missed his own grand-daughter so much. He walked close to Yu Wen and stood next to her. He was spellbound by her needle work.